This time last year, I was in Mcleodganj. 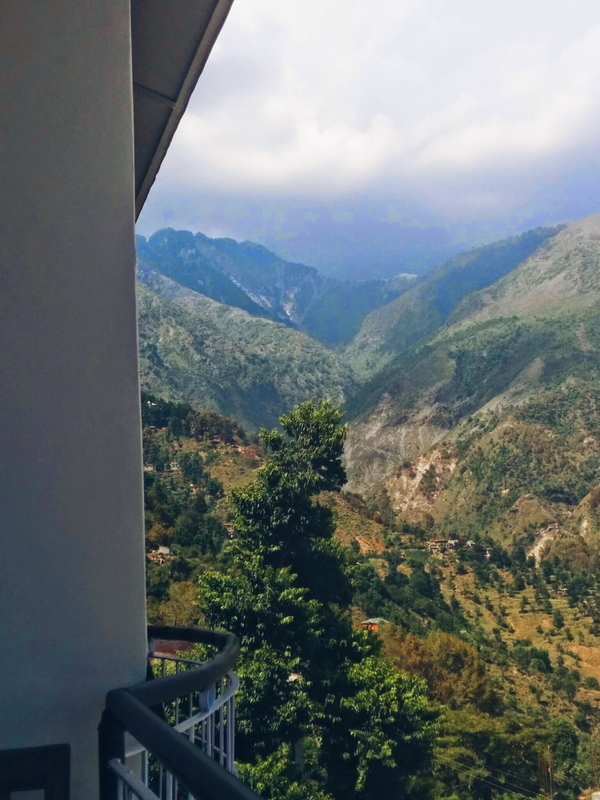 As someone who has traveled a lot within the country right from childhood, I have visited many hill stations, especially in the North, but hadn’t been to Mcleodganj before. And I’m so glad I decided to. Every time you look up, no matter where you are in Mcleodganj, you can see snow-capped mountains glittering in the sun like colossal diamonds. I have a thing for tiny little cafés. The aroma of freshly ground beans wafting through a rustic-looking, quaint little place is magical to me. I was utterly enthralled by the cafés dotting the streets of Mcleodganj. Most of these places are run by locals, or former travelers who settled down in this charming little town. One of the most amazing places I visited is called Illiterati. This place spoke to the book lover, dog lover and coffee lover within me. What with hundreds of books lining the shelves and a dog called Fondue walking around, I could basically live here. Other cafés I liked: Chocolate Log. Pretty place! The momos. The thukpa. The desserts! Mcleodganj is home to comfort food that complements the weather perfectly. One of my favorite places to eat there is Woeser bakery. We went there every day! It is a tiny little place home to amazing desserts made by a lovely, charming lady who was so sweet to talk to! We basically survived on her desserts during our trip while we burned off the calories with all the walking. Other than that, almost every café has an excellent European and American style breakfast menu. As far as Tibetan cuisine goes, while a lot of restaurants serve momos, the ones with the street side vendors are the best. Other restaurants I liked: Jimmy’s Italian Kitchen, Moonpeak Espresso. Mcleodganj is home to thousands of Buddhist monks and monasteries. Wherever you look, you can spot prayer flags fluttering in the crisp mountain breeze. The town has a vibe of peace and spirituality that engulfs you the minute you step into it. Perhaps it is the prayers being said day in day out, or perhaps it is the history and the culture, there is just something that lends a mystic aura to the charming little town. A four hour uphill trek from Mcleodganj leads to Triund, from where you can see Dhauladhar mountains on one side and the Kangra valley on the other. While the trek in considered relatively easier compared to other treks in the Himalayan region, I found it pretty challenging! Especially the last 1 km before reaching the top of the hill. The route is peppered with tea shops where we took breathers and enjoyed the view. With aching legs and enthusiastic hearts, we arrived at Triund after a 4 hour trek but to our utter dismay, it began raining! Hoping it’ll stop and we’d be able to camp the night there, we stayed for a bit gobbling up omelets but the rain showed no signs of stopping. Sadly, we had to trek back the same day. And the climb down was much harder because of the rain and slippery slopes! My brother and I almost lost our way. I would love to visit Triund again on a non-rainy day and probably camp for a night. I have heard the view of the starry night is unbelievable! Hoping to visit soon. One of my closest friends just moved there so I have another reason to go! Great pictures, Neha! Its a nice hill station for foodies for sure. The 2nd pic from the top, is that your hotel view? If it is , please let me know the name? I’ve been there and i really want to re-visit but had a hard time the last time in finding a place with a great view. Thank you! That pic is from the balcony of Café Illiterati actually. For a hotel with a good view : look up this hotel called Villa Paradiso.